Many people are surprised to learn that Fred considered himself first and foremost a musician. His college degree was in music composition and over his lifetime he wrote the melodies and lyrics for more than 200 songs. A singing psychiatrist for children! 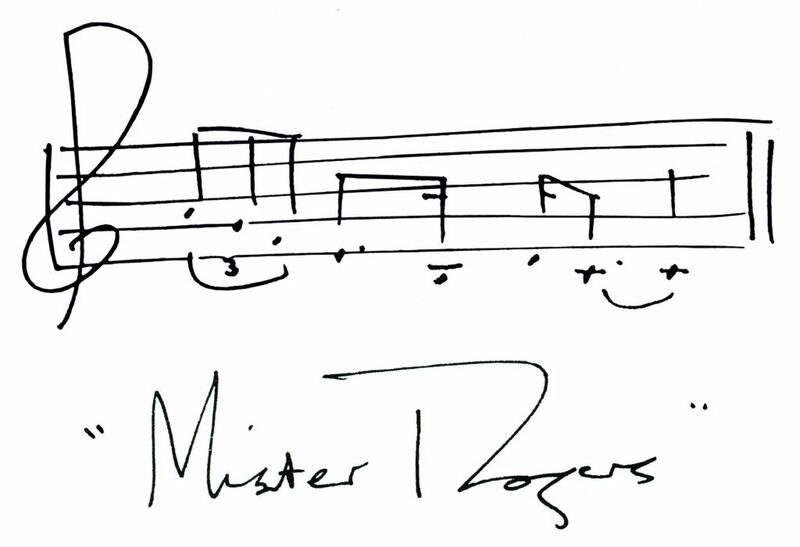 Through his songs, Fred Rogers translated the concepts of child development into musical messages in a language that children could understand. Some songs celebrate good feelings. Some are calming. Others are for times when children are struggling with a particular issue like jealousy or persistence or being apart from a loved one. Everything on Mister Rogers’ Neighborhood is done out of a concern for children’s feelings … And because I am a person who sometimes finds it easier to say important things through songs – that’s what I sing about, too. For many, the most exciting musical moments on the Neighborhood were the operas – original, whimsical, elaborate (at least for Mister Rogers’ Neighborhood standards) make-believe musical stories about childhood themes. Over the years, sixteen operas and plays were produced. It seems to me that music has always been at the root of who I am and what I do.